You are here: Home / In The Mix / Industrial Mixing Basics: What is Reynolds Number? 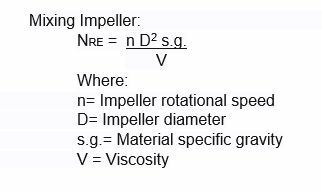 Why is Reynolds Number Important in Industrial Mixing? A wide variety of online resources provide general information about Reynolds number including several YouTube videos. 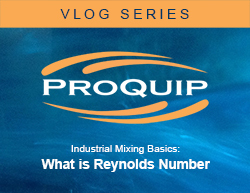 If you need assistance with Reynolds number as it relates to your industrial mixing application, email ProQuip at applications@proquipinc.com or call us at 330-468-1850.
https://proquipinc.com/wp-content/uploads/2017/12/Industrial-Mixing-Basics-Vlog-What-is-Reynolds-Number.jpg 342 442 Dave Grutzmacher https://proquipinc.com/wp-content/uploads/2017/11/proquip-logo-2017-ampedpixel.png Dave Grutzmacher2017-12-07 09:50:282018-04-10 16:17:12Industrial Mixing Basics: What is Reynolds Number?